Ahead of the SMBC Singapore Open next January, we recall some of the great rounds over Sentosa Golf Club’s famed Serapong Course during past tournaments. In our fourth article in the short series, we look at how Jeev Milkha Singh of India held off challenges from Major champions Ernie Els and Padraig Harrington to win the title in 2008 after a final-round 69. 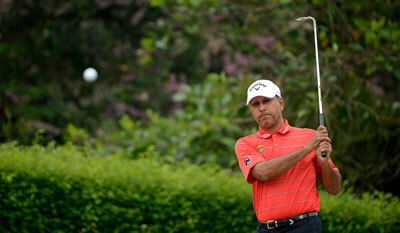 On the face of it, Jeev Milkha Singh’s final round 69 was nothing special. However, put into context, it stands out as one of the finest tournament rounds over the Serapong Course. In difficult scoring conditions, Singh fended off the combined challenges of Major champions Padraig Harrington and Ernie Els, who were joint runners up. 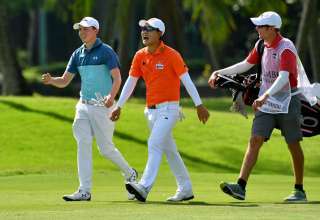 Also breathing down his neck was star-in-the-making Rory McIlroy, who matched Singh’s 69 to claim fourth spot, while legendary “Lefty” Phil Mickleson started the final day a shot ahead of the Indian. 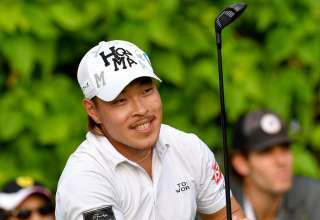 None of them could deny Singh the victory which saw him seal a second Asian Tour Order of Merit title in three years and become the first player on the Tour to surpass US$1 million in earnings in a single season. 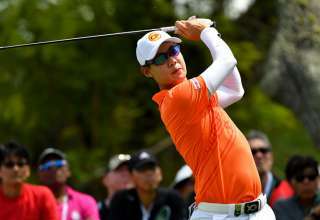 He started the final round five strokes back but soon made inroads into the lead held by Chapchai Nirat of Thailand. As he had done on day three, Singh birdied the opening two holes and picked up another shot on the seventh to reach the turn in three-under 33. With the leaders dropping shots or treading water, Singh hit the front with a birdie on the 11th hole. With the pins tucked in true Sunday fashion, four-under after 11 holes was a huge statement of intent by Singh. The fat lady had not sung, however, and bogeys on 13 and 16 opened the door for Els and Harrington. Irishman Harrington, playing in the same group as Singh, missed a five-foot birdie chance on 18 to force a play-off and Els, in the group behind, failed to convert for birdie from 15 feet to draw level. “I could not have asked for more honestly – I think I am a very fortunate man to win, those boys put a good effort out there, Ernie and Padraig. The golfing gods are on my side so I am breathing much better now,” said Singh. Els was rueful in defeat yet expressed pleasure that Singh was the player to beat him. “It could have been a win. But Jeev is a great guy and I’m happy for him,” said Els. 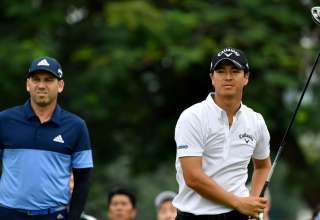 Third round leader Chapchai, who led by three strokes going into the final 18 holes, finished tied seventh after closing with a disappointing 78 while world number three Phil Mickelson came in ninth after a 75. The tournament, however, belonged to Singh who proved himself too good on the day for several of the world’s best players.